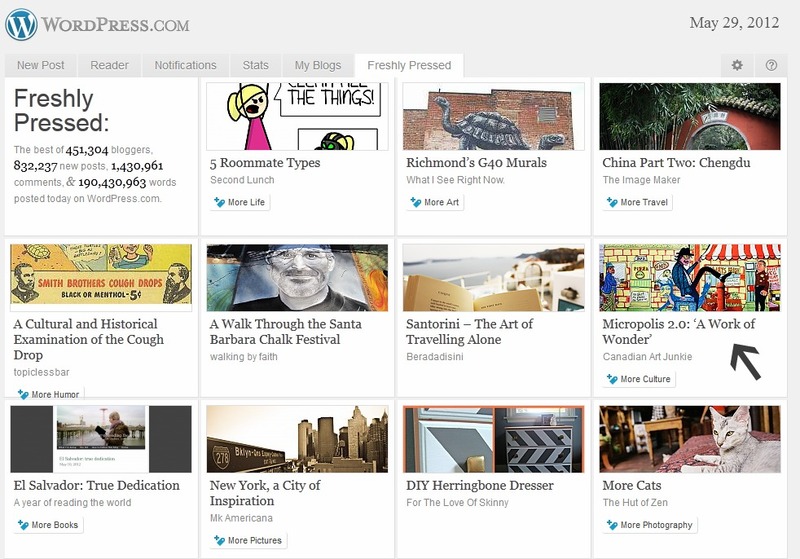 Canadian Art Junkie and Global Art Junkie have been featured on Freshly Pressed. 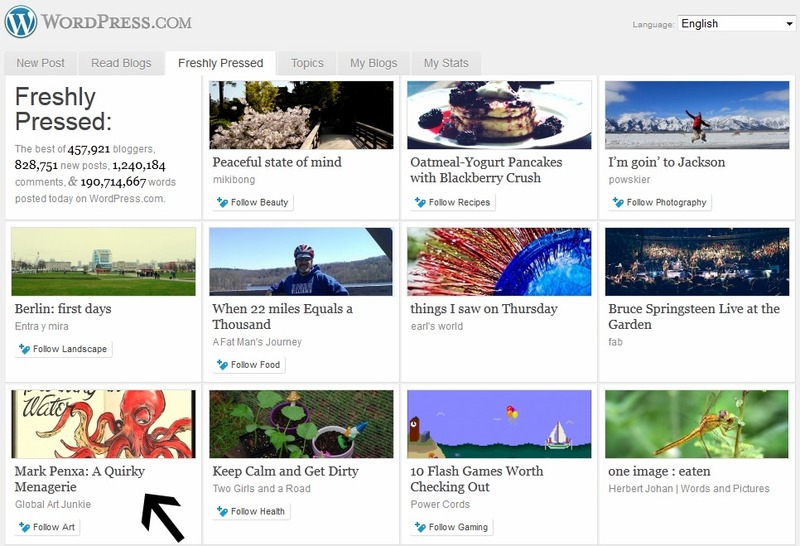 You may be interested in the artists that prompted WordPress to select these posts. There’s another blog post, here. To see Rachel MacFarlane’s work, click here. Global Art Junkie was featured due to the talented Mark Penxa. Click here. Canadian Art Junkie was featured for Micropolis 2.0, an amazing work. See it here.